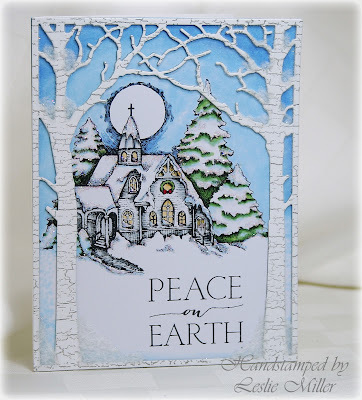 Yes, it’s a snowy Christmas card in the middle of summer, but I’m just in love with my new Memory Box Grand Forest Archway and was looking for ways to use it. The combination of this die with Power Poppy’s O Holy Night was simply irresistible. 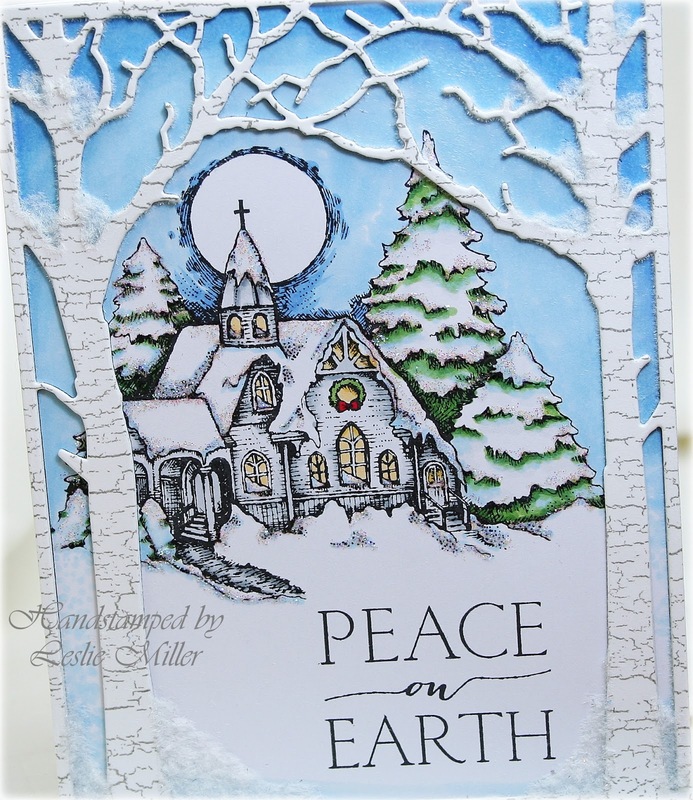 I’m going to go out on a limb here and say this might be my favorite Christmas card I’ve made to date. If this die is unavailable you might also like to see the Medium Forest Archway. They’re the same A2 size overall, but the Medium Archway has more branches overhead, so the open framed area is smaller, which may be preferable in some cases. I think either one would work with most images. 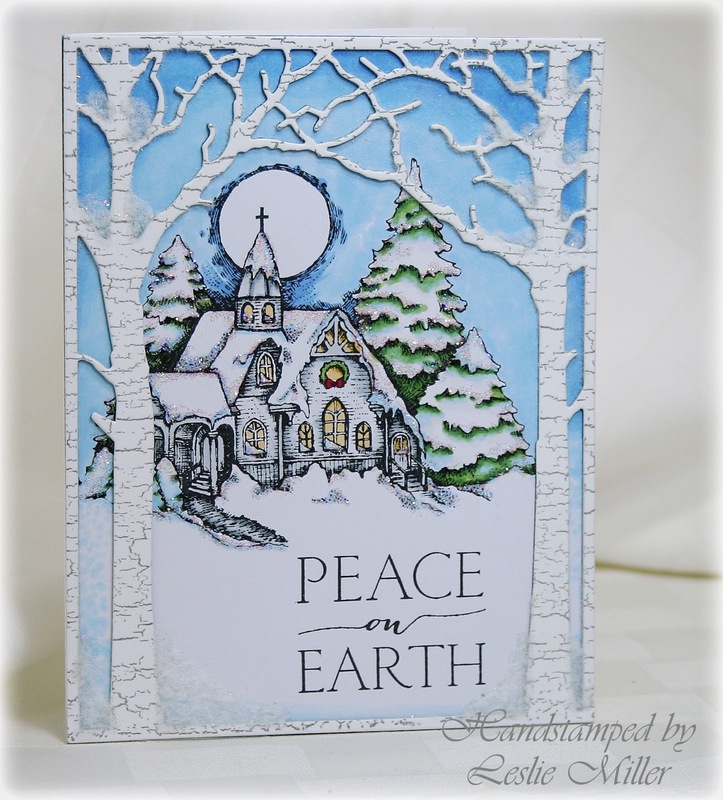 So, what I did here was die cut in white, then stamp over it in gray ink with a retired Stampin’ Up! Weathered background. Hoping to achieve more dimension without popping up the frame, I cut the die four times and glued all the layers together. The bottom layer is cut from navy cardstock. I figured if it showed it would add to the nighttime look of the scene. However, I somehow got all the layers fitted perfectly. Ever notice how Memory Box die cuts slip out of the die so easily? Sure makes it nice! 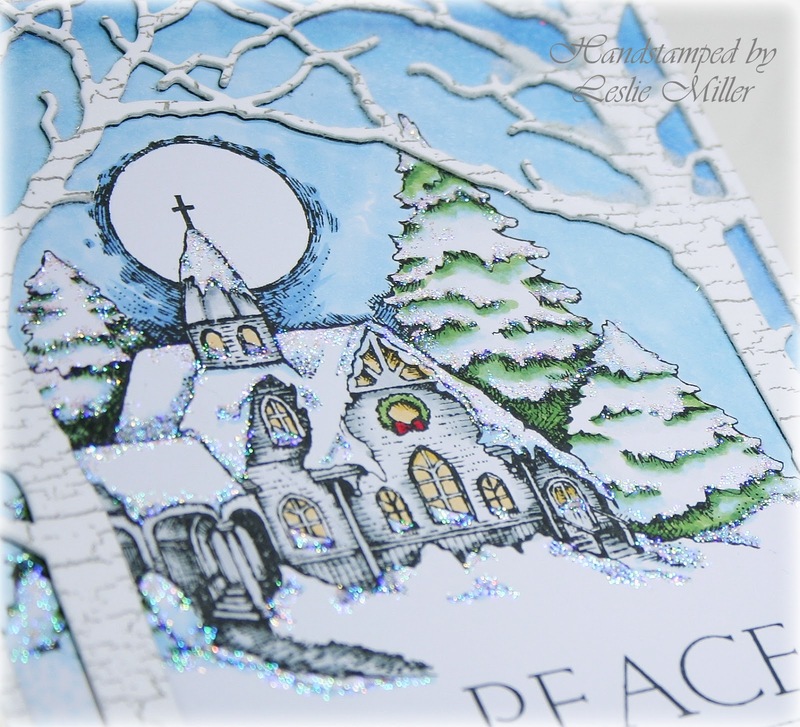 I added flocking for snow and glitter for sparkle in the moonlight. Coloring was done with Copic markers. Hop on over to the Dies R Us store if you’re looking to do some die shopping, and if you play along with any of the current challenges you might get lucky and win a gift voucher to put toward your next purchase. The current theme is Summertime Fun. That covers a whole lot of territory, and if you’re using a die, heck, link it up! See you again soon! This is GORGEOUS Leslie! 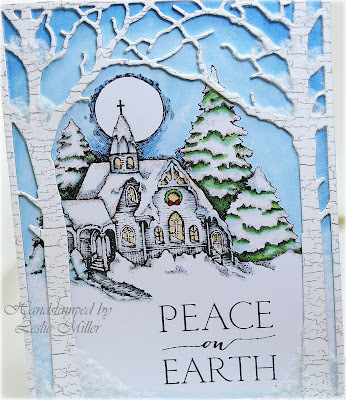 FABULOUS use of the die with this pretty wintertime image. WELL DONE!! !